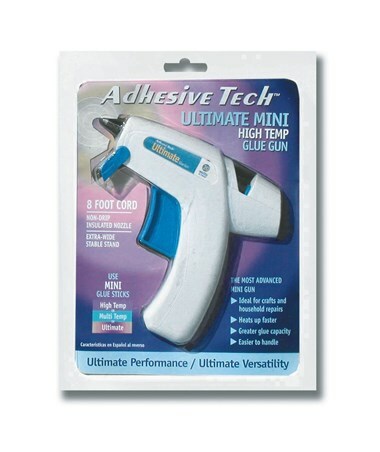 The Ad Tech Ultimate Mini High Temp Glue Gun is a versatile and functional tool for a wide variety of crafts and house repairs. It is a mid-size gun with greater glue capacity and accommodates both four-inch and eight-inch long Ad Tech mini glue sticks (0.28-inch diameter). Ideal for quick fixes and light duty applications, it heats up faster and melts glue sticks in just a few minutes. 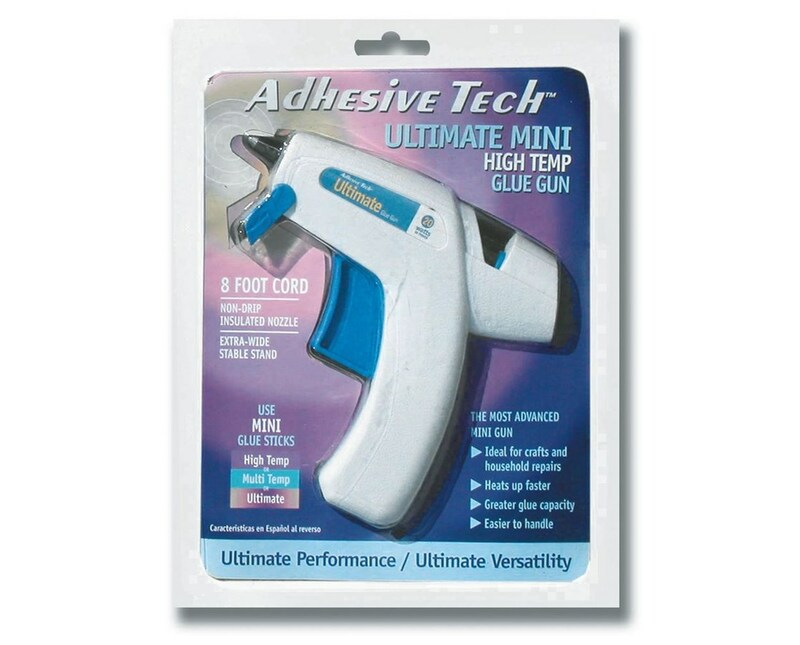 The Ad Tech Ultimate Mini High Temp Glue Gun features a handle that fits comfortably in hand to ensure ease of grip and convenience. It is equipped with a sturdy, extra-wide built-in stand and an insulated nozzle that prevents dripping and guarantees accident-free use. It includes an eight-foot cord and operates at 20 watts.